Most often midline lesions originating from the ventricular floor. Posterior fossa is the commonest location and tumors arise from the roof, floor, or lateral resources of the 4th ventricle. Attachment is commonly observed at the level of the obex, where the 4th ventricle ends and the spinal canal begins. Below is a MR (sag. view) of a posterior fossa ependymoma (#1). 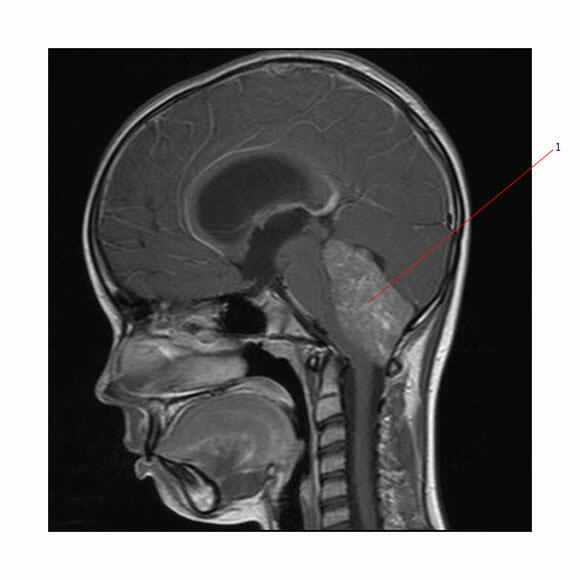 Below is an axial MR (T1 weighted) of a posterior fossa ependymoma (#1). Supratentorial ependymomas arise from the ependymal lining of the lateral and 3rd ventricles. 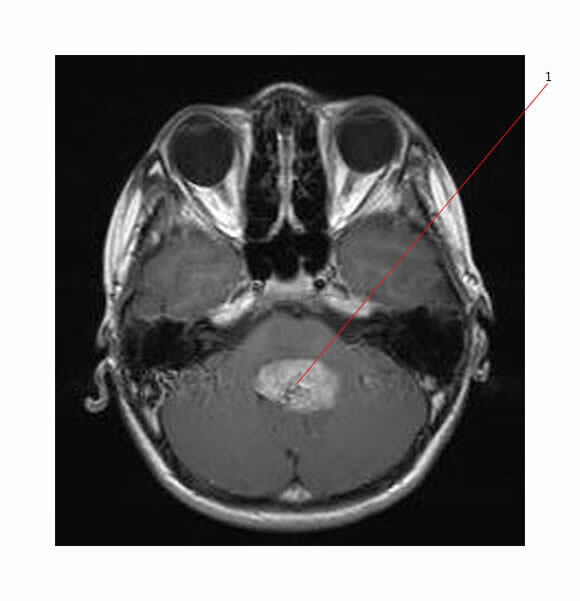 Tumor may be totally or partially intraventricular, and has a predilection for frontal, temporal, and parietal lobes, as well as for the 3rd ventricle. 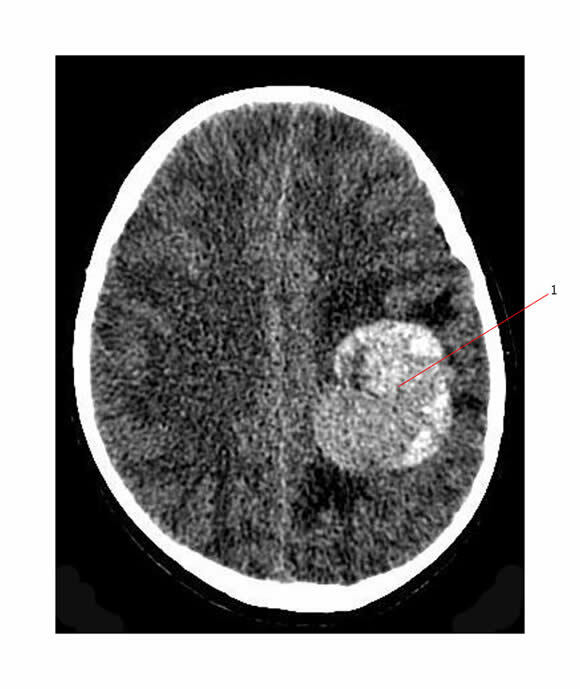 Below is a contrast enhanced CT scan showing a high grade supratentorial ependymoma in the left parietal region (#1). There is significant surrounding brain edema with mild midline shift. 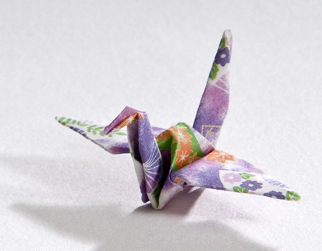 There are also differences between those tumors that arise in adults and those in young children. 75% of adult ependymomas arise in the spinal cord. In young children, most ependymomas arise in the 4th ventricle. With increasing age, supratentorial locations become more common.